A Word a Week Photo Challenge: Hole | Oh, the Places We See . . .
← An interesting marriage — art and motorcyles — at KMA Art Fair! 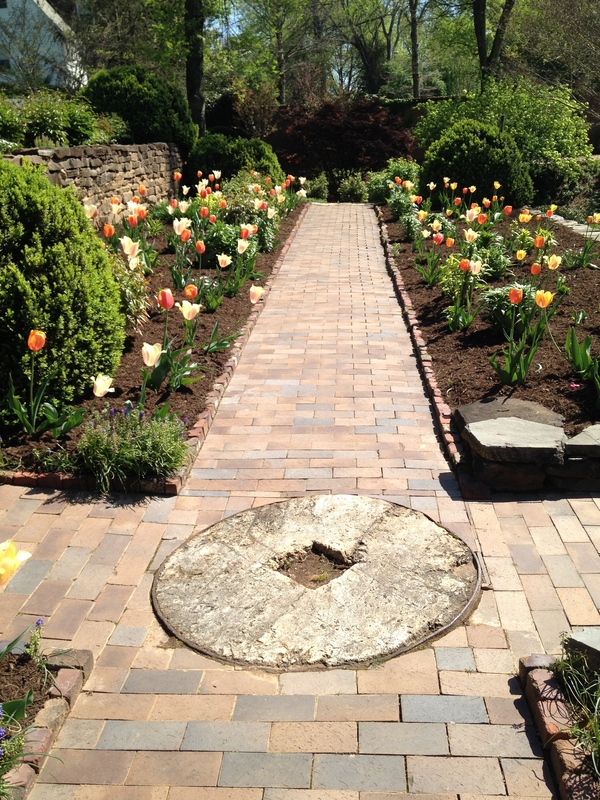 A millstone found in a Knoxville garden becomes a focal point for two criss-cross pathways. During Knoxville’s Open Gardens day, a Dogwood Arts Festival event, local homeowners voluntarily push open their gates and let those of us in love with flora and fauna roam the grounds freely. One formal garden held something quite unique — seventeen antique millstones — integrated in various ways throughout the beautifully manicured grounds. According to the homeowner, most of the millstones were discovered onsite as old vines and overgrown shrubbery were cleared to restore the gardens to their original glory. What a find! Three old millstones form a pathway in a lovely, traditional Knoxville garden. For more interpretations of the Word a Week Photo Challenge: Hole, click here. This entry was posted in A Word a Week Challenge, Festivals, Photography and tagged Dogwood Arts Festival, gardens, Knoxville, millstone, TN. Bookmark the permalink. Thanks for your comment! 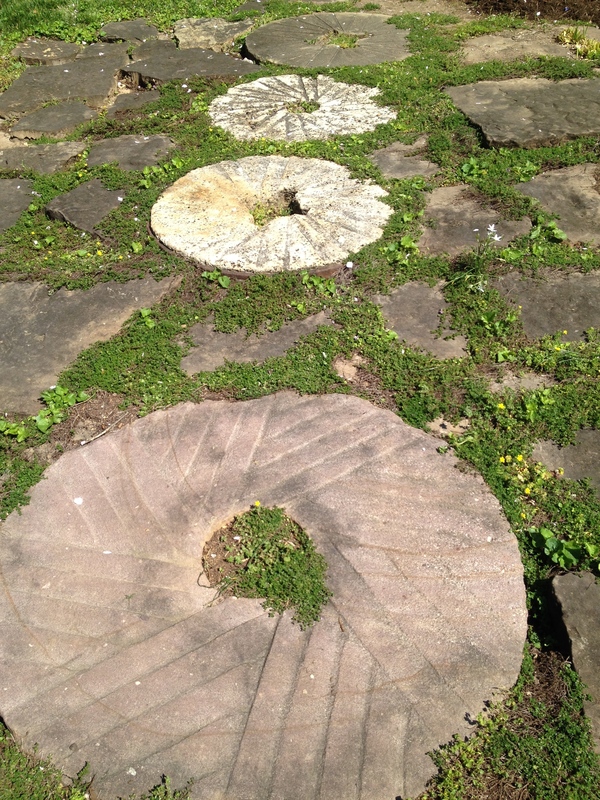 You’re right — not only did I love seeing these millstones — the whole garden was lovely. And redone to a T! Love these holes! Great photos, Rusha! Thanks, Amy. Wish you could see them in real life in this stunning garden. Really interesting. How interesting that your ancestors were millers. I’ve never known anyone who was, but I’ve looked at several millstones mostly in antique stores as something to put in my garden. I’ve just never known anyone who had 17 of them!! Thanks for reading. Thanks for taking a look. Wish I had enough pics to do a whole blog on this lovely garden!